If you’ve been following us on Instagram (@FitBottomedMama), you may seen a few posts or Insta stories about my daughter’s experience (and mine as well) at Goldfish Swim School. (Spoiler: They let her try a few months of swim lessons on the house, and it’s been so awesome that we’ve kept our partnership going!) And, today, in addition to those behind-the-scenes glimpses, we’re sharing five awesome gift ideas for kids that aren’t toys — including Goldfish Swim School lessons, of course. 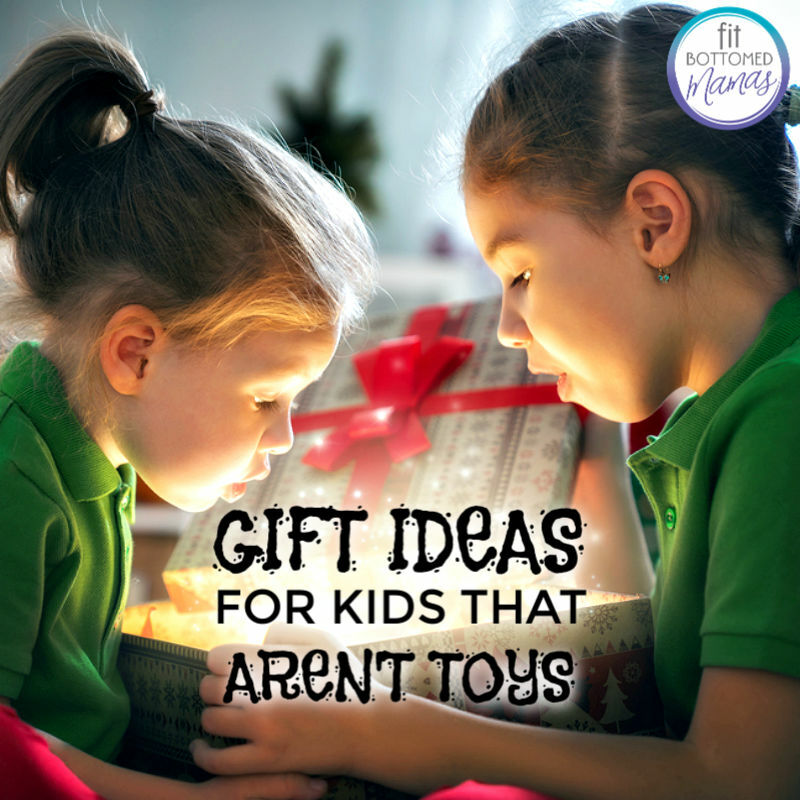 All of them are great kids gift ideas to bookmark for the holidays, birthdays, or any special occasion! 1. Memberships. Each year we put a zoo membership on my daughter’s wishlist and it is seriously the best thing ever. It allows us to go to the zoo whenever — with absolutely zero pressure to stay any longer than we want and see everything in one trip. Heck, sometimes we pack a lunch and see only the penguins, then have a picnic. So fun. So easy! And, many museums, botanical gardens, petting farms, and indoor play centers have memberships — consider those, too! 2. Lessons. 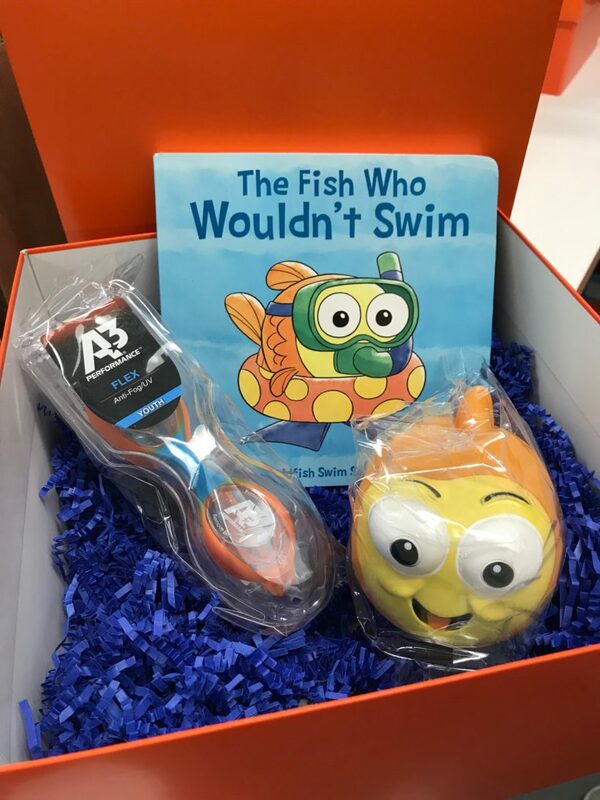 We are HUGE fans of Goldfish Swim School lessons and these make for a wonderful gift idea for kids. You can do a month or more of lessons — or even a whole year. And, right now, when you purchase a package, you get the above swim kit to put under the tree or in their stocking. Adorable, huh? Other ideas for lessons include music lessons, other sports lessons, or art classes. 3. Charity. One of our favorite gifts to give kids who are a little older is a gift card donation to Kiva, where they can go online and then choose who to lend the credit to. It’s a really cool activity for them to do to not only give back and make a difference, but also to learn about other cultures and needs around the world. 4. Tickets. Whether it’s to a play, performance, sporting event, or movie, experiences are FUN and create lasting memories — for everyone. 5. Magazine subscription. We all know that kids love getting mail that’s addressed to them. So why not get them a subscription to a kids’ magazine like one of these? Nice ideas, I like the charity and tickets. What other fun could be greater than spending some quality time together with my kids.